Fiona McKenzie is a designer and lawyer. A feature article in the LIJ (Law Institute Journal of Victoria) introduces us to her training, expertise and passion for rigorous and creative thinking. The February 2018 issue of the LIJV contains the original article. Here is an edited version of the article, adapted and updated for internet consumption. Barrister Fiona McKenzie does not sit around watching TV. Instead, the administrative lawyer studies physics, engineering and spreadsheets. Why does Ms McKenzie spend time on physics? The surprising answer is that physics helps to design sustainable building systems. Ms McKenzie is intrigued by how to make buildings work better, and she approaches this with a research hat on, as if she were a lawyer preparing a case for challenge. But she also has a artistic or designer part of her brain. This part thinks about art, aesthetics, and beauty. But is design really so separate from the practice of law? In fact, designing good objects, including buildings, is about making our lives better. “This is about problem solving. First you have to correctly identify the problem. Then you try to solve it. I became very interested in the engineering aspect of how buildings perform. And performance should partly be about the comfort of the building’s occupants,” she says. “I put on my legal research hat to interrogate these things.” And that’s how she started to research the diverse fields of engineering, physics, and building design. Because of this research, Fiona now advocates what many call the best building standard in the world. It’s the International Passive House Standard. Physics calculations are an integral part of the building design. You start with a spreadsheet or computer program called the PHPP (Passive House Planning Package). As a result, you use physics­ as part of the design of the building at a very early stage. You don’t just tack on “sustainability” or “solar panels” at the end as a bandaid to a poor design. This way you can create buildings that stay comfortable without heavy reliance on machinery or plant. As well as providing optimum comfort, Passive House buildings also reduce energy use by up to 90 per cent. “You design a thermally sealed building envelope that ensures there are no air leaks. At the same time you provide fresh filtered air all year round.” says Ms McKenzie. 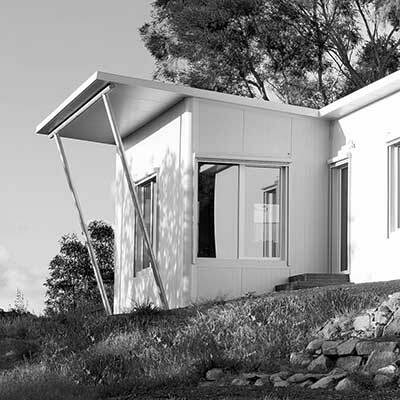 Ms McKenzie built her first prototype Superpod® passive house in Cape Paterson in 2015. She won an Australian Good Design Award in the building category, which is no mean feat for a lawyer. Afterwards, she decided that the Passive House Standard was too important to leave. She now offers the system for a variety of projects. However, creating change is challenging. The building industry is resistant to new ways of building, she says. The Cape Paterson house is available for holiday rentals so that people can try out the home for themselves. What’s more, the Superpod® house can also be fitted out with the PodMarket® range of furniture designed by her fellow director and furniture designer Harry Strouzas. The furniture range is designed along similar principles of sustainable design. While all the pieces are functional, they are minimalist and beautiful at the same time. PodMarket® includes a range aimed specifically at barristers and solicitors. Such as the Kamara Trunk on wheels. 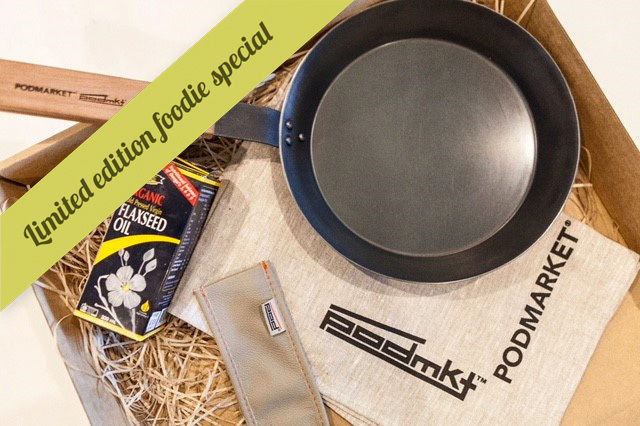 One of the PodMarket® table systems is a real winner. The Pende, a true innovation, has several international awards from Italy to Germany to Chicago! Unsurprisingly, Ms McKenzie’s training as a lawyer is handy for drafting patent specifications and dealing with building contracts. But the rigorous discipline of the law also helps with designing a building system. The law requires discipline and focus, as well as lateral thinking. Through discipline, focus and lateral thinking, a future-proof building system emerges. To see the article in the Law Institute Journal please follow this link.